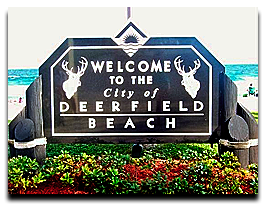 Deerfield Beach is a coastal town located just south of Boca Raton and west of Coral Springs. It is home to 76,478 residents and has an area of 14.9 square miles. The city was incorporated in 1925 and has an archetypal Florida beach atmoshphere, complete with a pink brick walkway, a fishing pier, beachside mangrove forests, and waterfront seafood restaurants. Our Deerfield Beach Business Directory is a yellow pages of all types of businesses that are community partners, from golf clubs and resorts, to restaurants. 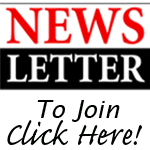 We also provide news updates about the exciting entertainment events one can attend within the city. Be sure to check out our Non-Profit Directory and our Deerfield Beach City Guide as well, where you will find things such as information about the Amtrack station, local churches, high schools and nightlife. Enjoy! For Italians around the world, mealtime is family time – when generous portions of delicious food, lively conversation and timeless traditions get passed around the table, and from one generation to the next. So come, gather round and enjoy a delicious taste of tradition, from our family to yours at Cafe Med! The name says it all! Top quality ingredients come together to create unique taste sensations. All Burgers have the choice of being made with certified Angus Beef, Chicken Breast, Veggie Chipotle Black Bean, Salmon or Turkey Burger! Burger Craze also has selection of flavorful wings, fresh gourmet salads and savory hotdogs that will tantalize your taste buds! You’ll crave the craze! Milena Knauss from Touch by Milena Alterations has been in the tailoring and alterations business for over 16 years! When you take your clothes alterations to Milena you can rest assured that your clothing alterations instructions are followed to the stitch and to your satisfaction! We are located inside of the Hillsboro Square shopping center. 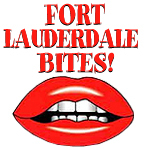 Visit our Alterations Deerfield Beach location today. 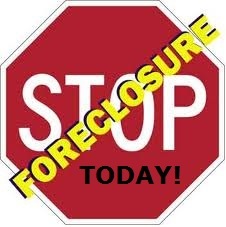 Need Foreclosure help? Deerfield Beach Foreclosure Lawyers can help Florida homeowners that have been hit hard by the real estate bust. For those of you who are in foreclosure or close to it, we will show you how and why to fight your foreclosure, and then discuss foreclosure defense strategies as your first line of defense in the fight to save your home. It's time to take action! One of the most fabulous Deerfield Beach restaurants on the beach is OCEANS 234. Join us and relax in our comfortable beach setting and savor Chef Johnny’s inspired cuisine. The sights, aromas and tastes will awaken your senses with an unparalleled dining experience on the waters of the Atlantic Ocean. OCEANS 234 has earned a reputation that goes well beyond its breathtaking views! Addison Storage is your 24 hour surveillance Deerfield Beach storage facility that you can trust. They offer Impact resistant doors and windows, motion sensors, personal access codes, climate controlled and non-climate units. Your unit space ranges from 50 sq. ft. up to 300 sq. ft. Contact this Broward County storage facility today! Marlee's Diner offers a variety of delicious meals: a diverse breakfast menu, a wonderful vegetarian selection, hearty Mediterranean platters, and low-carb options for their dieting and diabetic guests. If you don't find what you like on their extensive menu, they do their best to accommodate your desires. Deerfield Beach shopping never looked better! Welcome to Encore Plus, where fashion meets affordability! This trendy South Florida designer resale boutique is just what you've been looking for! With a wide selection of women's apparel, handbags, shoes, sunglasses, and jewelry, what more could you ask for? 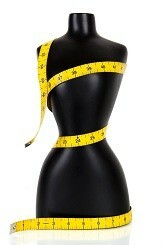 How about top name fashion designers at 50% to 70% below retail costs! See you soon! 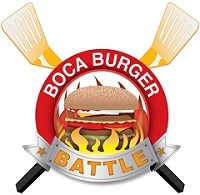 Are you looking for an American restaurant in Deerfield Beach? 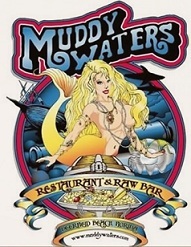 One of the best things to do while in Florida is to experience our beachfront restaurants. JB’s on the Beach is located in Deerfield Beach, directly on the sunny sands of the Atlantic Ocean. Their classic American cuisine enhances the tropical flavor of this oceanside restaurant. Call today to reserve your table with a view, and enjoy this tropical paradise on the beach. Deerfield Beach Animal Control services starts with All County Trapping. They are the people to call when you need Broward County animal control and wildlife such as, raccoons, mice, rats, opossums, bats or snakes that you need to get rid of. This South Florida animal trapping and animal control company has 6 years in business and the knowledge to help get rid of cats, get rid of bats and get rid of rodents for your safety and protection. An 18,000 sq.ft. Clubhouse, a built in Movie Theatre, a 24-hour fitness center, a Wii Room, 18" inch stone tile flooring, granite countertops and vanities is just a sample of amenities that you will find at these luxurious, Boca Raton Apartments. We welcome you to spectacular living and magnificent location of The Heritage at Boca Raton. These pet friendly Apartments for rent in Boca Raton offers an eye-catching location with the white sands of South Beach park, fine restaurants, exquisite shopping and I-95 all just minutes away! Bagel Bagel Cafe is is your Coconut Creek restaurant for breakfast, lunch or for a quick snack when craving fresh foods. Located in the Coconut Creek Shopping Center, this fantastic bagel company offers a scrumptious variety of foods to choose from. They offer breakfast, hot/cold subs, hot soups, fresh salads and delicious wraps! With two great locations, Boca Raton and Weston, you can now look and feel your best no matter where you are! Green Wave Body Waxing is your exclusive South Florida Body Waxing center created just for you, where you will have the best epilatory experience ever. Green Wave Body Waxing also offers Laser Hair Removal in South Florida and much more!! Gift Certificates are also available!